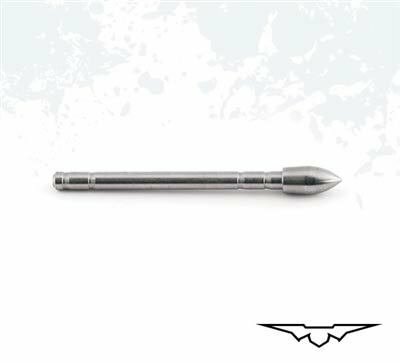 These high precision stainless steel adjustable break-off glue-in points fit Deep Impact shafts. They are made of 416 PH stainless steel (140 points are 303 stainless steel) and they are the first of their type. These points are perfect for target & 3-D shooting.